It is 2am on the 6th of May 1932. A cold morning, with the crisp promise of winter in the air. The suburb of Maroubra in South-East Sydney slumbers peacefully. All of a sudden, two limousines appear outside the house of J. S. ‘Jock’ Garden, Secretary of the Trades and Labour Council. Eight men silently disembark. Four peel off around the side of the house, whilst the others knock on the front door, claiming to be policeman searching for a prowler. Garden obligingly opens the door, and is subsequently attacked by all eight men. His two sons rush to their father’s rescue, and manage to drive off seven of the attackers. The eighth, a man named William Scott, is cornered by the family dog and is unable to make good his escape. Three days later, all eight men pled guilty to assault. But the escapade would not end there. For all eight were members of the ‘Fascist Legion’, a secretive inner group within a paramilitary movement known as the New Guard. And their actions would see an alarming discovery come to light that led to a charge of ‘seditious conspiracy’ being prepared against the New Guard. Most Aussies are familiar with the story of Francis De Groot, the plucky Irishman who slashed the ribbon at the opening ceremony of the Sydney Harbour Bridge. According to the folktale, De Groot was a staunch monarchist and a right-wing ratbag who objected to the unorthodox policies of Labor Premier Jack Lang. Thus, when Lang announced he would open the Harbour Bridge himself – instead of allowing Governor Philip Game, the King’s elected representative, to do so – De Groot decided to upstage him. But there is substantially more meat to this bare bones story. In order to fully appreciate it, we need to go back to October 1930 – the month that Lang was elected to the Premiership. To working class families around New South Wales, this was a dream come true – Lang, the ‘Big Fella’, had promised not to cut public spending in the wake of the Great Depression. He would preserve the salaries of state employees, provide minimum wage to unemployed relief workers, and prevent landlords from evicting struggling tenants. To fund his program, Lang proposed halting interest payments to British boldholders. To conservatives, who preached fiscal austerity and economic orthodoxy, this was a nightmare. In the months following Lang’s victory, several prominent businessmen gathered together to form a secret paramilitary group known as the ‘Old Guard’ – a movement that would wait in the wings for the inevitable civil strife that Lang’s premiership would bring. When it happened, they would step in and assist the police and the federal authorities in restoring order. One of their members, a prominent solicitor and former army officer named Eric Campbell, grew fed up with their secrecy and their unwillingness to directly combat the government. Lang had shown himself to be a communist and a traitor, Campbell claimed, and only open confrontation would stop him from launching an all-out plan of socialisation. Despite such outlandish beliefs, Campbell proved quite convincing, and he and several others split from the Old Guard to form a new movement – the New Guard. The New Guard claimed it stood for “Unswerving loyalty to the Throne”, “Sane and honourable representative Government”, and the “Maintenance of the full liberty of the subject”. What set it apart from its predecessor group, however, was its commitment to the “Suppression of any disloyal and immoral elements in Governmental, industrial and social circles.” In Campbell’s mind, Lang and his supposedly socialist cohorts represented an illegal and alien regime – thus, the New Guard retained a constitutional right to revolt against it, should it choose to. The New Guard was organised along military lines. Each new recruit signed an attestation paper swearing loyalty to the objects of the movement, and was assigned to one of 93 localities around Sydney. Localities were answerable to Divisions, which were arranged under one of four Zones – north of the harbour, and the eastern, western, and southern suburbs. In theory, policy was agreed upon by a twice-monthly General Council of divisional and zone commanders; in practice, however, it was dictated by a hand-picked ‘Council of Action’. This effectively meant that Campbell – the Commander in Chief – ran the show from the top down. Recruits were placed into one of three categories. The fittest were the ‘A-class’ recruits, who formed the core militia of the movement. Those with technical and administrative experience who could take over essential industries in the event of hostilities were ‘B-class’ recruits. Older or disabled members were classified as ‘C-class’, and would be responsible for guard duties. Unlike the secretive Old Guard, Campbell’s movement openly courted publicity. 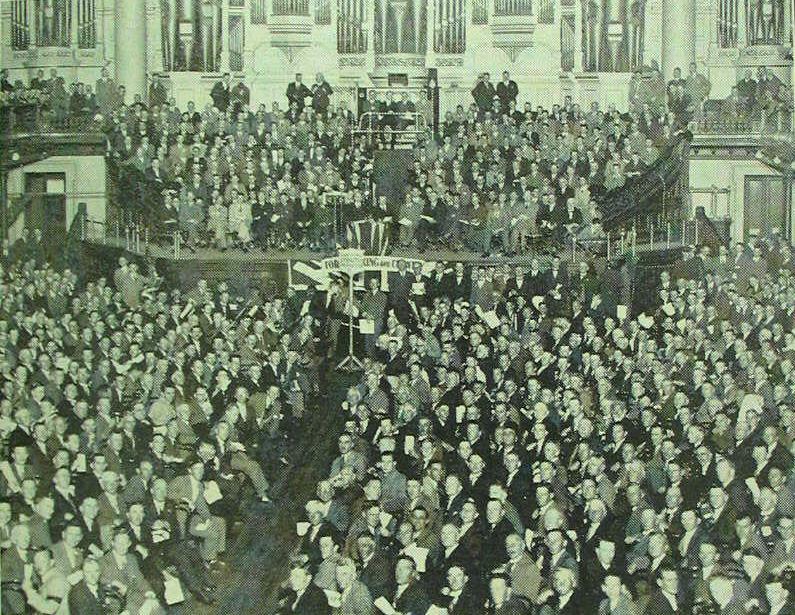 Mass rallies were regularly held in the Sydney Town Hall. The first such rally, on 22 July 1931, was attended by 3000 Guardsmen, along with a broad press contingent. 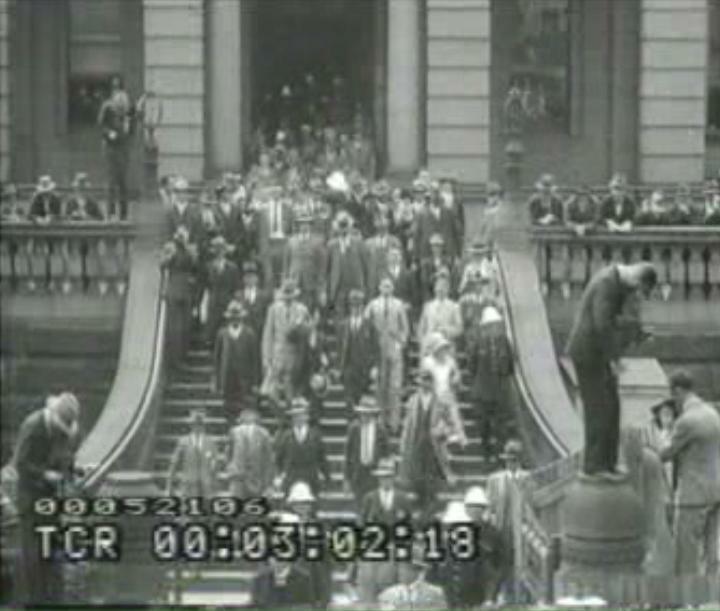 The second rally on 16 September 1931 was broadcast over 2GB. Campbell’s thundering rhetoric at each meeting was met with ‘thunderous applause’ that ‘shook the Town Hall’. In October 1931, the police estimated the strength of the New Guard at 36000 city members and 3000 country. It also had a Harbour Unit and a small Air Unit – the latter of which boasted Charles Kingsford Smith as a member. Many of its members had weapons, and the movement’s intelligence department knew the location of arms depots around the city. To a state police force that numbered less than four thousand in total, this posed a very real threat. The question remained – would the New Guard make the leap from ‘unswerving loyalty’ to ‘suppression’? By October 1931, it had become eminently clear that Lang was not going anywhere; thus, the New Guard took matters into their own hands. Armed carloads of guardsmen descended upon unemployed and communist meetings across the city, dealing out violence with reckless abandon. 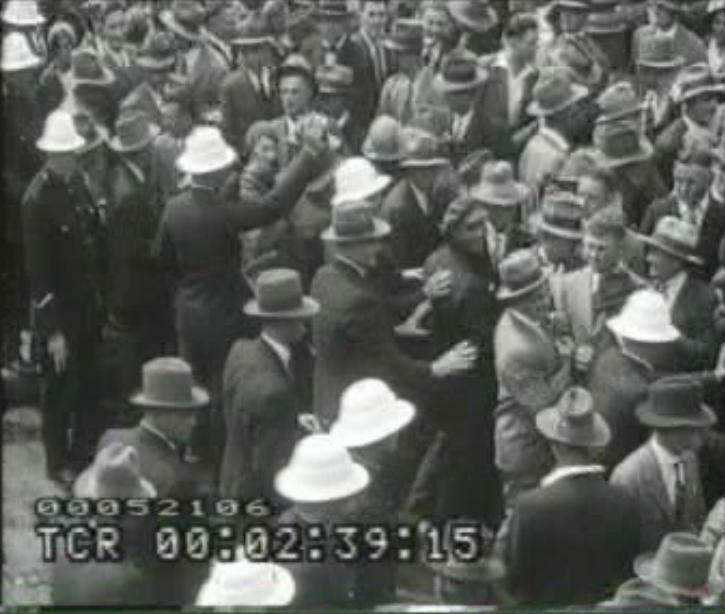 This culminated in the ‘Battle of Bankstown’ on 26 February 1932, when an all-out melee between 200 guardsmen, labourites, and police unfolded outside the local cinema. In line with Campbell’s heated rhetoric, the New Guard stepped up its mobilisation plans in February 1932. Zone inspections of up to 1500 men were held every Saturday. 500 New Guardsmen drilled at Belmore Park on the 13th, and a rally of 130 cars was held at Landsdowne on the 17th. This culminated in a ‘general mobilisation’ on the 26th designed to demonstrate to the police their lack of preparedness for communist revolution. Meetings were held at every locality, left-wing meetings were broken up in Newtown, and a parade was held at Lakemba. Further drilling was held at Killara on 21 April and in Liverpool on 8 May. 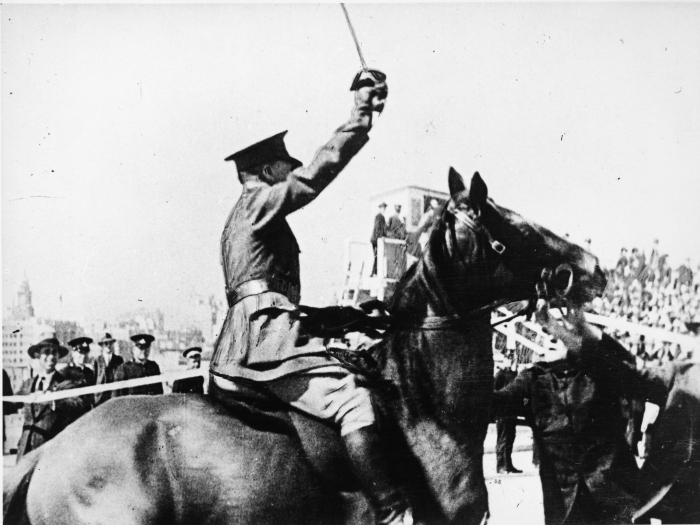 And then, on 19 March 1932, Francis De Groot – Commander of the Eastern Suburbs Zone of the New Guard – unofficially opened the Harbour Bridge ‘in the name of the decent and respectable citizens of New South Wales’. The police had been wary of the New Guard almost since its inception. 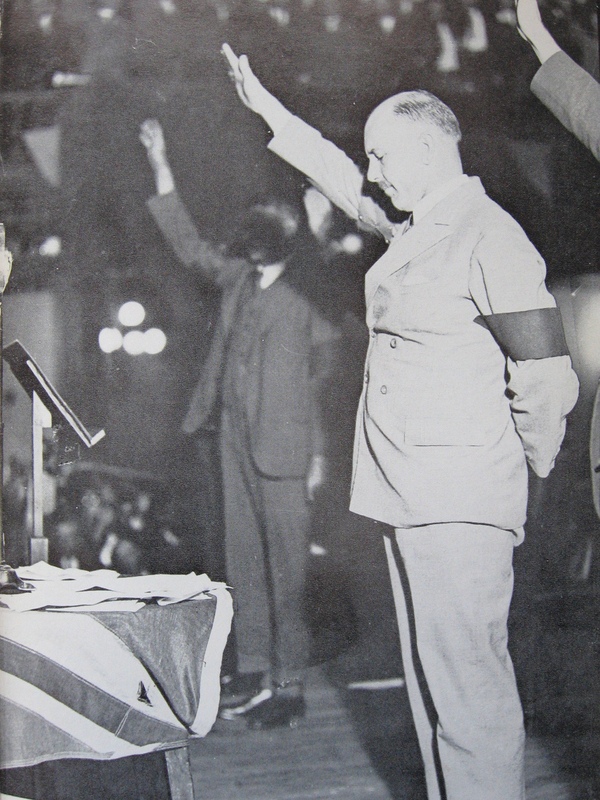 In the wake of the increased militancy in February 1932, a new Superintendent was appointed to deal with the movement. William J. MacKay, a Glaswegian renowned for his heavy-handed tactics in dealing with militant unionists, was more than happy to oblige. On 2 March 1932, he met with Campbell and De Groot in their offices and made them swear not to condone any more violent acts. He had earlier warned De Groot that, should the New Guard attempt to storm Parliament House, he would rout them with howitzers and bombs. Thus, MacKay must have been rather annoyed when De Groot performed his daring stunt right under his nose. Within moments, he had pulled De Groot from his saddle and was marching him towards the bridge pylon, where he was charged with offensive behaviour. And so they did. Two thousand of the New Guard’s finest were routed by three hundred determined policemen in a pitched battle that became known as the ‘Liverpool street riot’. Bruised but not defeated, Campbell and his associates retreated back to the Imperial Service Club. De Groot, however, had the finest lawyer that money could buy; thus, he was able to successfully appeal the charge of offensive behaviour and sue for damages to the amount of £68. It would take another, far less spectacular event to give MacKay the legal ammunition he required to go after the New Guard – an early morning attack on a prominent trade unionist. It is the morning after the attack on Jock Garden. All is well at Wingello House, the headquarters of the New Guard. Suddenly, MacKay appears at the door with a warrant and several officers. His visit is part of a coordinated raid that saw several New Guard buildings searched and countless documents confiscated as evidence. The story they told was astonishing. Most importantly, they showed an intimate knowledge of Jack Lang and his movements from January to March 1932. They also contained detailed schematics of the disused gaol at Berrima, complete with suggestions as to which positions could be best fortified with machine guns. And finally, they included reports on the whereabouts of various army and police arms depots throughout the city. 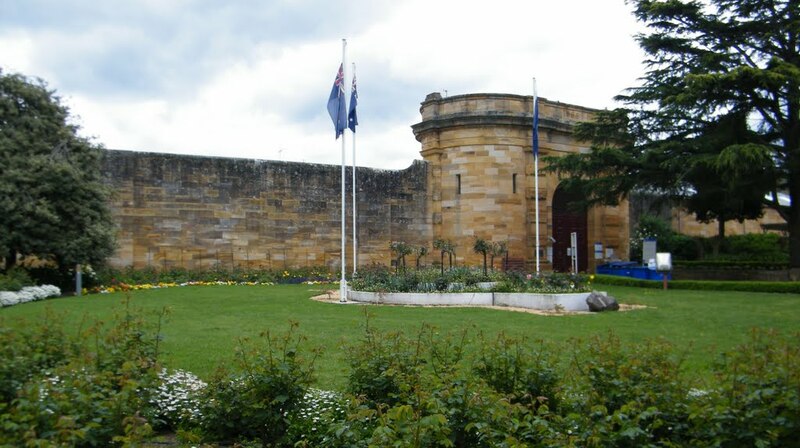 Putting two and two together, the police argued that the New Guard had planned to kidnap Jack Lang and his Cabinet, imprison them in Berrima Gaol, and possibly launch a military coup to take over the New South Wales government. This was more than enough to prepare a case of ‘seditious conspiracy’ against the New Guard and its leadership. The charge, however, never went ahead. On 13 May 1932 Jack Lang was sacked by the Governor, and one month later the conservative United Australia Party returned to power. The case against the New Guard was dropped – possibly out of a desire to avoid any embarrasing links between the movement and the conservative government coming to light. Was Campbell prepraring to imprison Lang and his Cabinet here? Damning as it is, the evidence against the New Guard must be carefully assessed. After the UAP government was re-elected in June 1932, MacKay increasingly needed to justify his desire to continue with the prosecution of the movement. This may have led to some embellishment of the facts, especially regarding the testimony of Detective-Sergeant Alford. MacKay was also not above inserting agents provocateur into a movement to stir up trouble. He had done just that during the Timber Workers Strike of 1928-1929, and there is evidence to sugest that the ‘police informant’ within the movement was actually a plant. Whatever the case, the story of the New Guard is undoubtedly one of the most interesting – and least well-known – tales of Australian history. Amos, Keith. The New Guard Movement, 1931-1935. Melbourne: Melbourne University Press, 1976. Egan, L. J. “The New Guard and the Defence Department: Conspiracy and Collusion?” Australian Defence Force Journal 29, (1981): 19-29. Evans, Richard. “‘A Menace to This Realm’: The New Guard and the New South Wales Police, 1931-32.” History Australia 5, no. 3 (2008): 76.1-76.20. McCarthy, John. “A “Law and Order” Election: New South Wales, June 1932.” Journal of the Royal Australian Historical Society 60, no. 2 (1974): 105-16. McQueen, Humphrey. “The Social Character of the New Guard.” Arena 40, (1975): 67-86. Mitchell, Phyllis. “Australian Patriots: A Study of the New Guard.” Australian Economic Historical Review 9, no. 2 (1969): 156-78. Moore, Andrew. Francis De Groot: Irish Fascist, Australian Legend. Sydney: Federation Press, 2005. ———. “The Nazification of the New Guard: Colonel Campbell’s Fascist Odyssey, 1933-1938.” In National Socialism in Australia: A Critical Evaluation of Its Effect and Aftermath, edited by Emily and Winter Turner-Graham, Christine, 97-114. Berlin: Peter Lang publishers, 2010. ———. “The New Guard and the Labour Movement, 1931-1935.” Labour History 89, (2005): 55-72. ———. “Policing Enemies of the State: The New South Wales Police and the New Guard, 1931-32.” In Policing in Australia: Historical Perspectives, edited by Mark Finnane, 115-42. Kensington: New South Wales University Press, 1987. ———. The Secret Army and the Premier: Conservative Paramilitary Organisations in New South Wales, 1930-32. Kensington: New South Wales University Press, 1989. ———. “Superintendent Mackay and the Curious Case of the Vanishing Secret Army: A Response to Richard Evans.” History Australia 6, no. 3 (2009): 72.1-72.18. ———. “Who Bashed “Jock” Garden? A Body Blow to the New Guard.” Bowyang 4, (1980): 42-57. ———. “Workers and the New Guard: Proletarian Fascism in New South Wales, 1931–35.” In Transforming Labour: Work, Workers, Struggle and Change: Proceedings of the 8th National Labour History Conference, edited by B. Bowden and J. Kellett, 239-46. Brisbane: Brisbane Labour History Association, 2003. O’Mara, J. “Guarding Five Dock: A Study of the Five Dock Locality of the New Guard, 1931–1935.” University of Western Sydney, 1997. Perkins, John and Moore, Andrew. “Fascism in Interwar Australia.” In Fascism Outside Europe: The European Impulse against Domestic Conditions in the Diffusion of Global Fascism, edited by Stein Ugelvik Larsen, 269-86. New York: Columbia University Press, 2001. Richmond, Keith. “The New Road to Salvation: Eric Campbell and the Centre Party.” Journal of the Royal Australian Historical Society 66, no. 3 (1980): 184-98. Tully, William. “The New Guard of New South Wales, 1931-1932.” Australian National University, 1974. Next postFancy a trip to Westralia, anyone? It is a pleasure to read your work. You present a well reasoned and wholesome account in what you detail here. This article in particular has been truly eye-opening and provided much material for thought. Fantastic work.